Young French actress Julie de Hauranne speaks Portuguese like her mother but has never been to Lisbon. She arrives in the city for the first time just as they are about to start shooting a film based on the Letters of a Portuguese Nun by the Count of Guilleragues, a French nobleman from the 17th century. She quickly becomes fascinated by a nun who prays every night in the chapel of Our Lady of the Mountain, on Graça Hill. During her stay, the young woman has a series of encounters that seem as ephemeral and inconsequential as those from her past. But on the night she finally speaks to the nun, she manages to perceive the meaning of life and of her destiny. 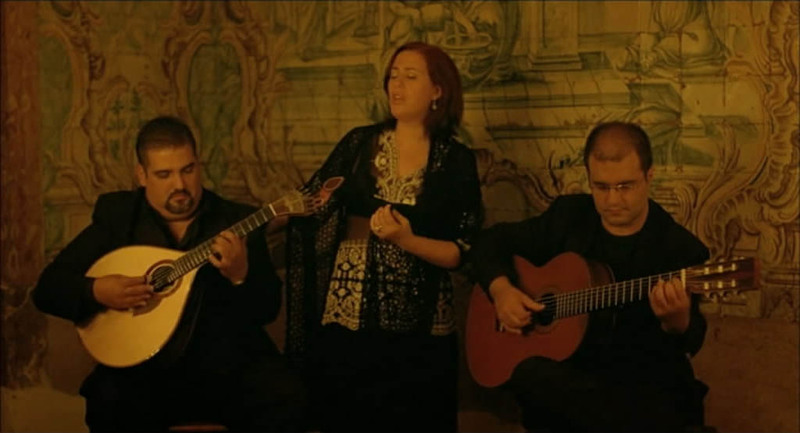 The Portuguese Nun is a Portuguese film written and directed by Eugène Green that premiered at the 2009 Locarno Film Festival. 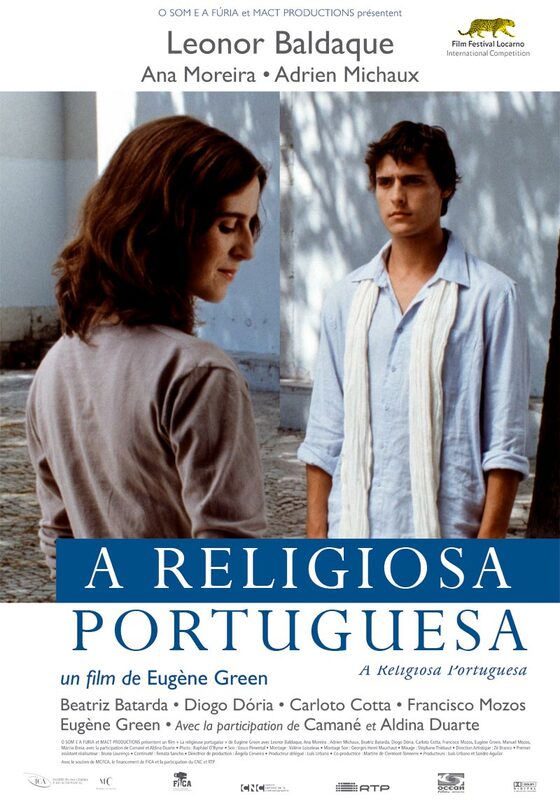 The film is set in Lisbon, features dialog in French and Portuguese, and follows young French actress Julie (Leonor Baldaque) who is in town to shoot a movie based on the Seventeenth Century text Letters of a Portuguese Nun. Not being familiar with Green's work, I wasn't sure what to expect when sitting down to watch this one. But right from the opening, a slow silent pan across some graffiti covered ruins in a deserted back alley, I knew I was in for something special. Taking direct influence from some master filmmakers, Green delivers a beautifully hypnotic and unconventional film that instantly vaults him up with my favorite working directors today. 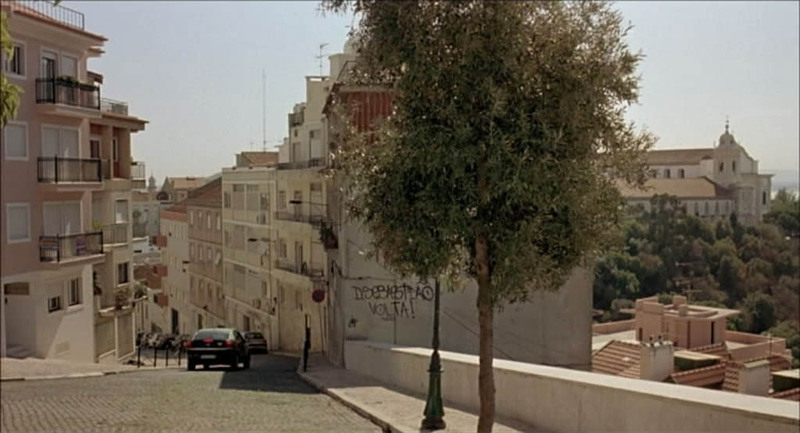 It's also immediately obvious this is also a love letter to Lisbon, as the film lingers on some amazing panoramic shots of the city for a good six minutes before we get to the first dialogue. 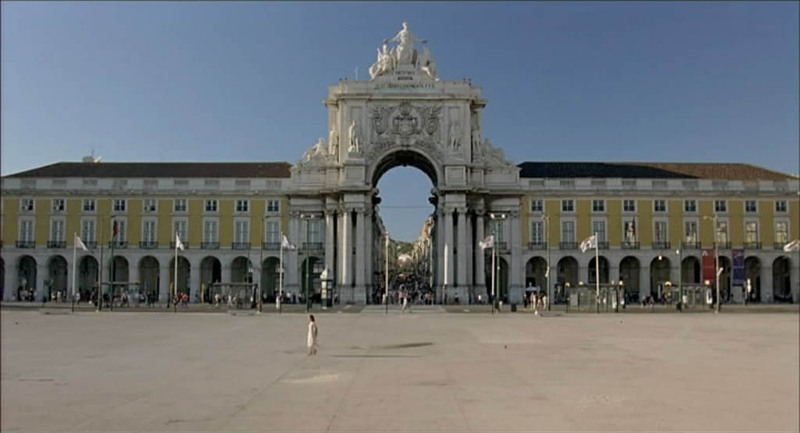 This first scene shows Julie who has just arrived in Lisbon, checking into her hotel. At first glance her exchange with the receptionist seems normal, but when the small talk begins, the camera cuts to alternating direct close up shots with the actors looking directly into the audience, a style reminiscent of Ozu, and one that is used repeatedly throughout the rest of the film. We also notice that the dialog is delivered with a strange unemotional and deliberately stilted manner, complete with the cleverly humorous line of "I never watch French films, they are meant for intellectuals". In fact Green, who himself plays the film director in this, makes light of himself several times throughout the film in a similar self referential fashion. The slow rhythmic pace of the film is dream like and the long methodical scenes reminded me of the same magical feeling I get from watching a Jacques Rivette film. 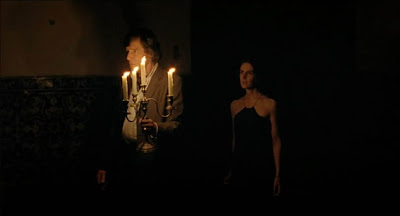 The narrative basically just follows Julie around as she wanders alone around the city and encounters a few random characters, including a young orphan boy playing alone in the streets, a down on his luck former aristocrat contemplating suicide, and an unusually devout nun who prays alone at night in a nearby chapel. This theme of loneliness is punctuated by constantly showing Julie in improbably empty streets and places for a city so vast. There are several astonishing musical sequences in the film, beautiful fado pieces performed in their entirety by live bands whose singers seem to be the only characters in the film permitted by the director to openly display their emotions. The first of these interludes ends in a tribute to Robert Bresson, a close-up shot of Julie's feet as she stands in the doorway of the Fado bar, who then walks away from the frame, the camera staying behind for several moments even after the actress has left the scene. Aside from the obvious references, what I admired the most was the lack of manipulation imposed by the director. Never are we forcefully made to feel or think a certain way by actions on screen. But he also never takes himself or the film entirely seriously and what might normally be construed as pretentious or self indulgent, comes across as sincere here. With The Portuguese Nun, Green ignores traditional literary and film devices and gives us an unconventional and stylish work that is both subtly profound, amusingly comical, and maybe even a little bit heartwarming too. Seems like it could actually be an interesting film. Could do with a bit of feelgood about now. This sounds good. Or well, it sounds like I'd enjoy it. I kinda wish the trailer had subs, but eh. I'll deal. Great review, but I don't know... I like a different type of nun movie. Has traces of Agnes of God in it. I might pass on this one myself. Not in the mood for drama at the moment.